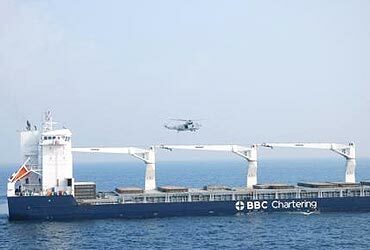 At about 6 am on Thursday, about 450 nautical miles off Mumbai, a merchant ship MV BBC Orinoco with a crew of 14 members, including five Ukrainians and nine Filipinos, reported to the Indian Navy that they were being attacked by pirates. The crew locked themselves in the ship's engine room and the steering compartment and communicated with their agents, UK MTO Dubai, on e-mail. 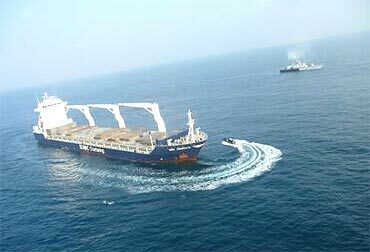 Dubai, in turn, intimated the Indian Navy for assistance. 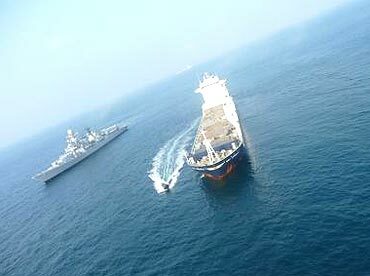 On receipt of this information, the Indian Navy promptly detached one of its missile corvettes, INS Veer, to intercept the distressed vessel and also sailed a capital ship INS Delhi with a team of Marine Commandos (MARCOS) embarked. One of the navy's long range maritime patrol aircraft was extensively deployed for aerial surveillance. 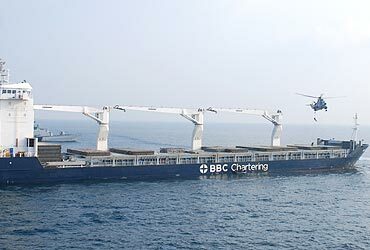 The Indian Coast Guard, too, responded with alacrity adjusting all routine deployments to keep one or more Dornier aircraft on hot standby, besides asking their ships on assigned mission to be also on stand-by. 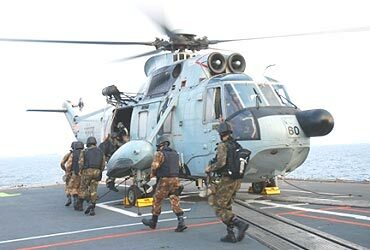 At daybreak on Friday, the naval forces, which had arrived at the scene, commenced their actions. MARCOS rappelled onto the merchant ship from a Sea King helicopter and took the crew, who were locked in compartments, to safety, while the helicopter provided air borne fire support. The merchant-men was boarded by naval personnel and a thorough search is currently in progress. The ship will set course for its destination once the boarding party reports all clear. Although no pirates remained onboard, implements such as crow bar, knives etc., were found aboard the ship. 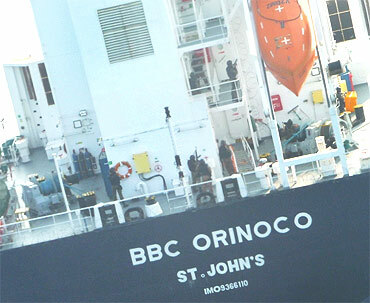 MV BBC Orinoco is a general cargo carrier and is registered in Antigua and Barbuda.